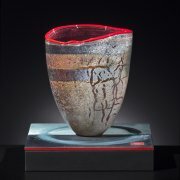 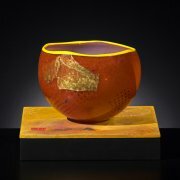 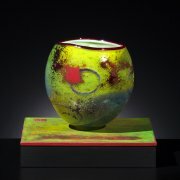 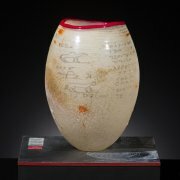 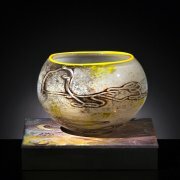 This work represents my explorations into glass during a hot shop residency at the Museum of Glass with the assistance of Ben Cobb and the hot shop team to create the "Limina Series" vessels. 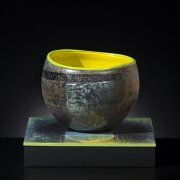 The Limina vessels series consists of twenty handblown Limina vessels seated upon a painting with a related surface. 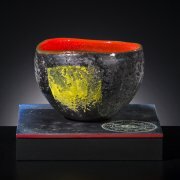 Installation shots were taken at an exhibition at Gail Severn Gallery. 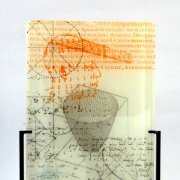 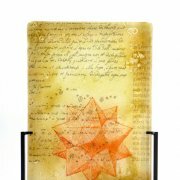 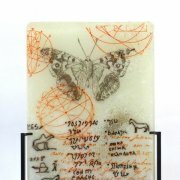 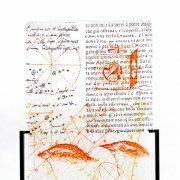 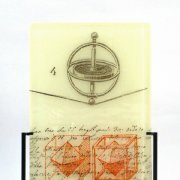 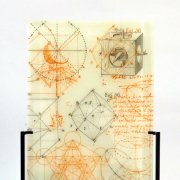 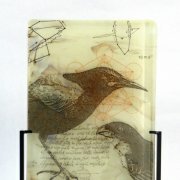 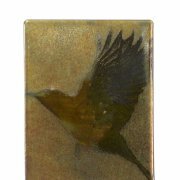 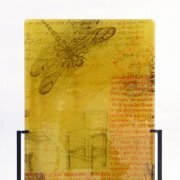 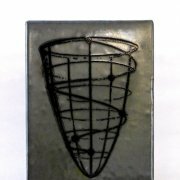 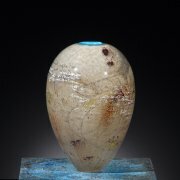 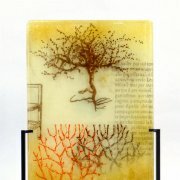 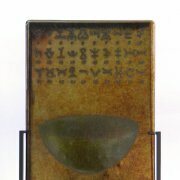 The fused glass works in the Incunabula Series and later working in fused glass with Steve Klein to make the "Incunabula Series".